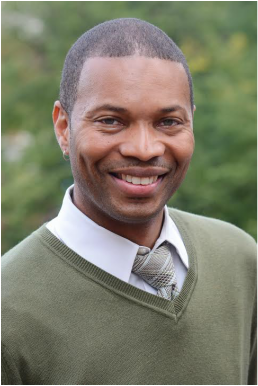 Turahn Dorsey serves as the newly appointed Chief of Education for the City of Boston and is a member of Mayor Martin J. Walsh’s cabinet. As Chief of Education, Dorsey is charged with setting a strategic agenda for the city that will improve the quality of instruction and student support across the education pipeline and better integrate school-, community-, and work-based learning opportunities. summer learning options, helping to create systemic approaches to school-community partnerships and developing education and career pathways for disconnected youth. Mr. Dorsey’s career is built on the 15 years he spent as a program evaluator and researcher at Moore and Associates in Southfield, Michigan and Abt Associates in Cambridge, MA. In this capacity, he led and participated in research projects spanning a number of public policy, community change and public health related issues. The body of work he contributed to for state and local governments, as well as foundations, also covers a number of quantitative and qualitative technical areas including outcome and impact analyses, Theory of Change-based program evaluation. A native of Detroit, Mr. Dorsey graduated with a BA degree in Economics From The University of Michigan. He is married to Mariama White Hammond and is the “son in love” of Rev. Drs. Ray and Gloria White Hammond. Finally, Mr. Dorsey has dedicated much of his volunteer time to systems innovation and improvement in education including serving as co-chair for the Boston Public Schools School Quality Working Group, co-chair for the Opportunity Agenda’s Summer Subgroup, co-chair of the Boston Afterschool and Beyond Partnership Council, and a member of the External Advisory Committee on School Assignment.